I felt like something fancy with lots of blings when I was planning for this manicure. 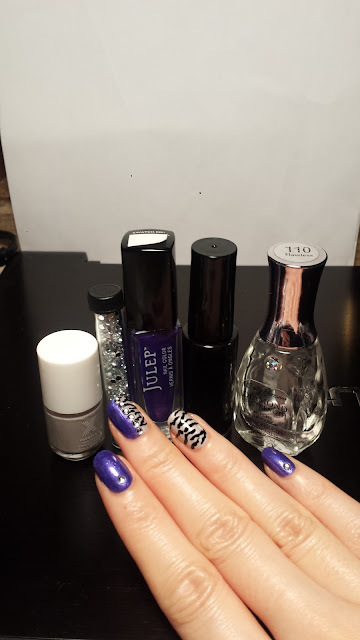 This gorgeous royal blue is by Julep and it was quite hard to capture the true color. Shown above was taken under natural day light and all photos below were taken under indoor lighting. 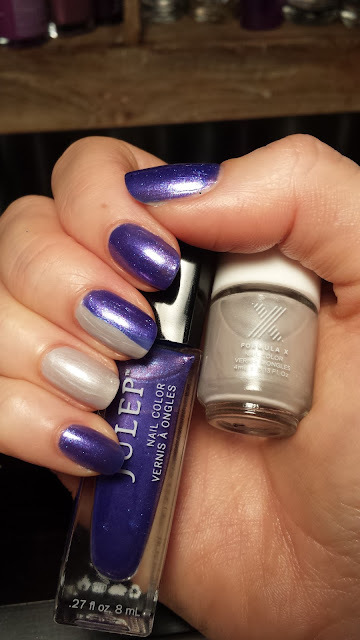 On my middle finger I simply painted half of the nail with grey and half with the blue. 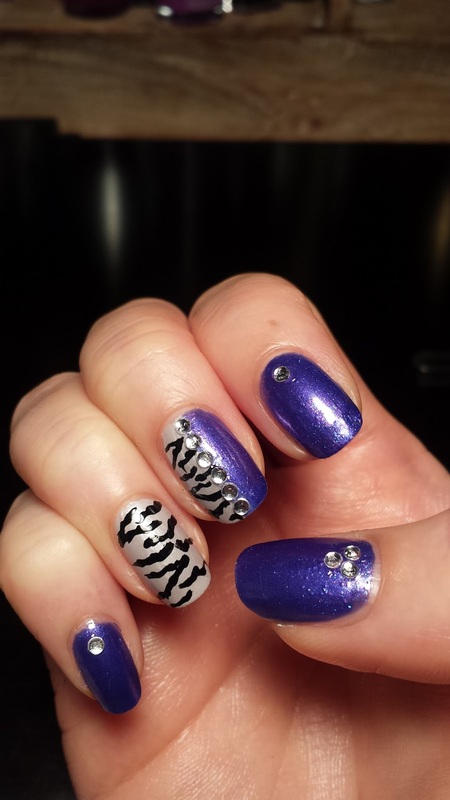 After 2 coats of the solid colors, I added the zebra pattern with a black nail striper. I painted the pattern on messily and in wiggle motion for more a natural random look. Some of the black formed a sideway "V" shape. I then added a line of silver nailart jewels down the center of the middle finger nail to "hide" the seam of the transition of the grey and blue polish, and some on other plain blue nails. After top coating and we are done! 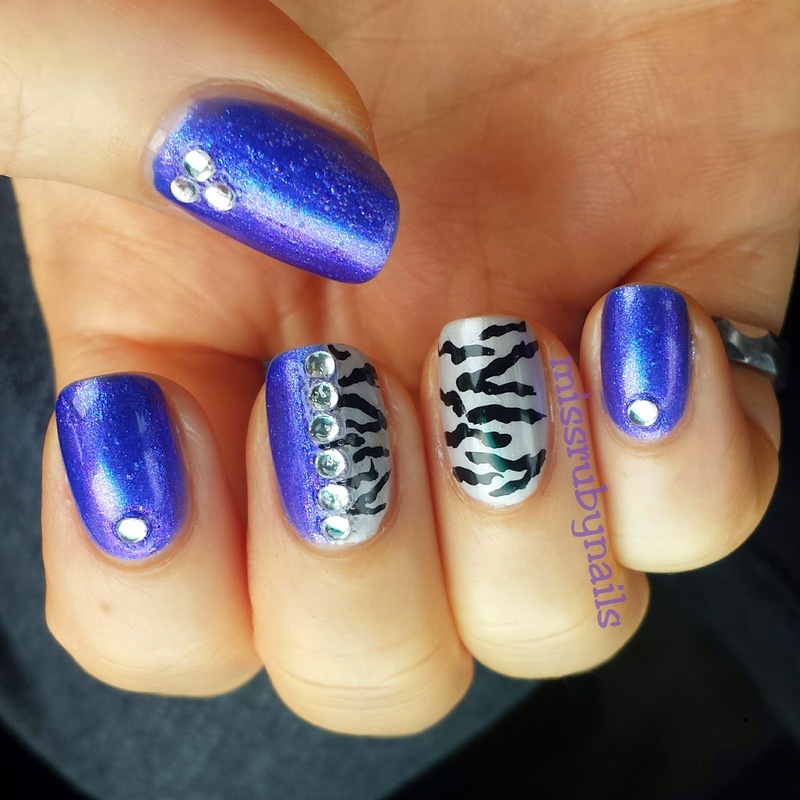 Click HERE to see a recent leopard print nails!